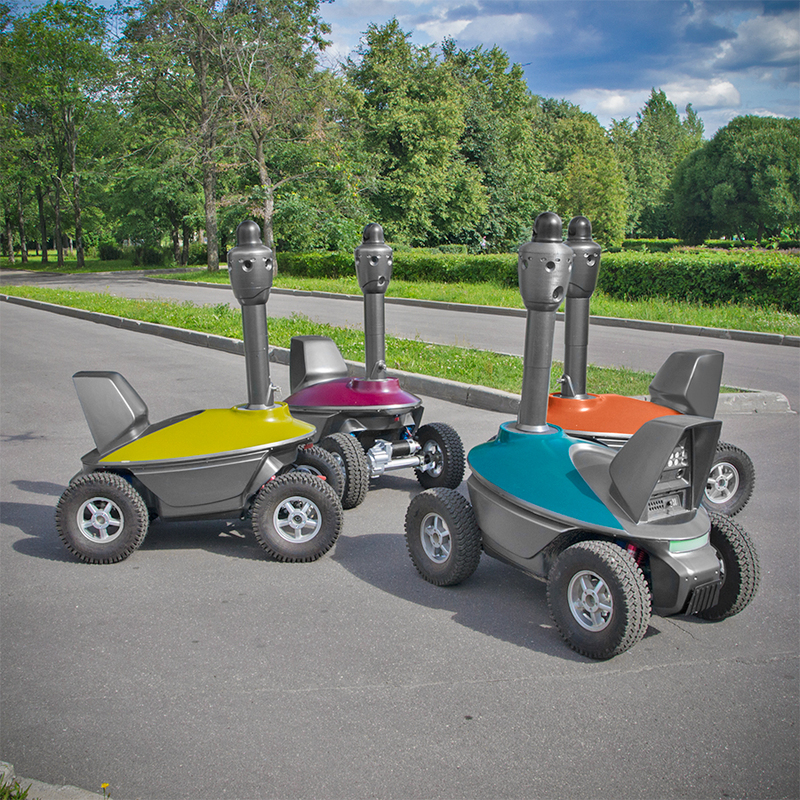 The most economically attractive applications of mobile robot problems are related to their massive use over large areas. In such circumstances, obtaining reliable and sufficiently complete knowledge about the environment where the robots have to solve problems is not possible. Solving problems with incomplete initial data and difficult-to-formalize terms refers to the problems of artificial intelligence. Consider conditions that can contribute to the formation of artificial intelligence in a group of robots. A lack of knowledge and experience of an individual robot creates a necessity to compensate with collective experience and knowledge of the aggregate group of robots. A global task assigned to a group of robots can be divided into sub-tasks in order to better suit the capabilities that are not modernized in the hardware of an individual robot’s solution. For example, in considering a robot that requires a communication antenna for maximum extension or a transportation robot that requires a maximum load capacity, we can see that the design of these robots can vary significantly. The more precise an individual robot will be formulated by designers for a set of robot tasks, the more a connected group of such robots will be able to offer effective solutions for robot users. These groups of specialized robots focus on solving specific problems. 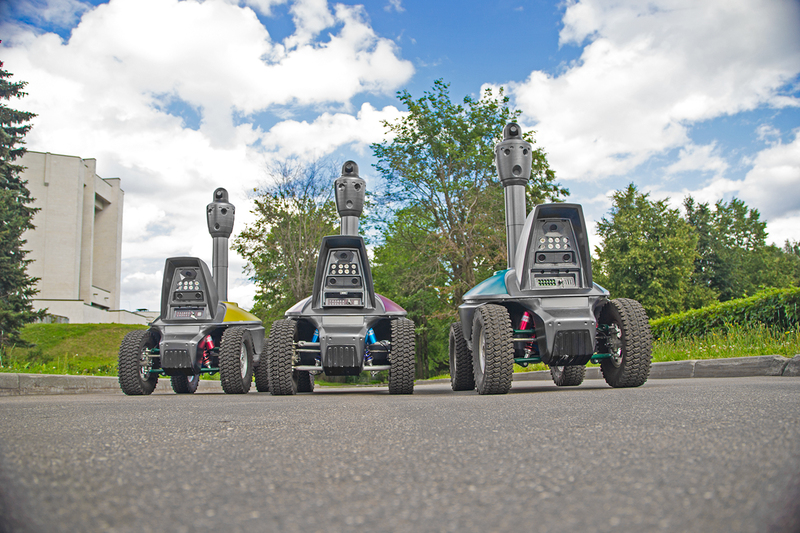 For the successful implementation of specialized robot groups, tasks need reliable data about the environment in which they are to be performed, as work over a wide area involves interaction with other members about its use. Also possible are conditions of natural exposure. The environment is oftentimes not stable, and changes in it may result from ordinary circumstances, such as rain, which can render part of the path as unusable or unavailable. 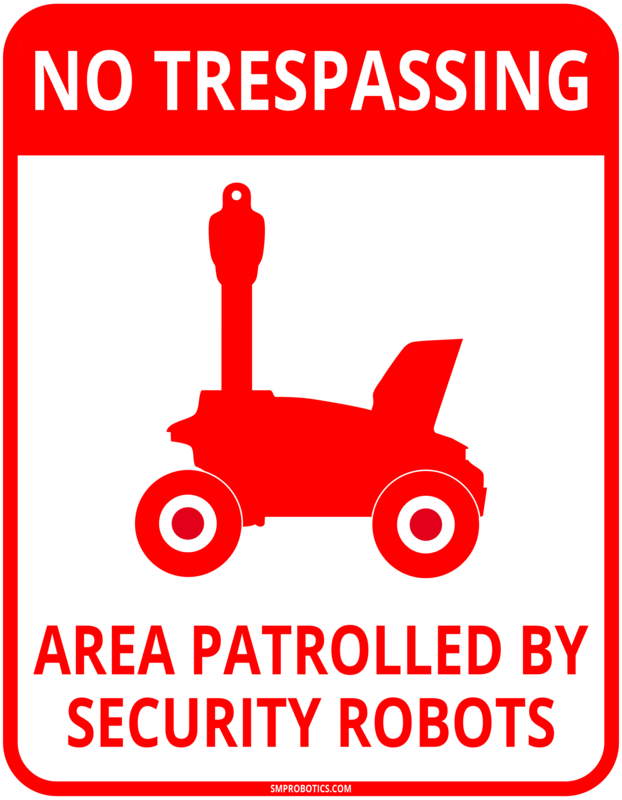 Another example of an unforeseen event may be a pathway ending with a car that blocks the robot’s known route. We want to protect efficiency in that these changes do not lead to a fatal amount of downtime in solution-building phases as a bottleneck problem for a group of robots. Effecting quicker solutions requires two components: a reliable communication channel between each robot individually and as a whole group, and a common language describing the environment. In our case, we can talk about a multi-layer map, because the primary location and all external characteristics are logically tied to it. As for the link, it seems that a rational solution would be the use of wireless, self-organizing MESH networks applying for the organization of a continuous zone of radio coverage of mobile repeaters, whose task is to establish radio and network connections with remote robots. Indeterminacy of the environment suggests that an individual robot may not be able to perform the tasks. Consequently, it is necessary to have additional robots. Also, there can always be circumstances in which it is necessary to define a maximum number of robots to effectively perform a targeted task. For example, weather conditions resulted in swelling of the soil, which is caused by movement of high-cost of energy, resulting in a larger than usual portion of robots being out of operations for charging batteries. In these conditions, excessive numbers of robots are needed. At the same time, managing a larger number of robots allows you to dynamically allocate tasks and form robot coalitions for optimal strength. Each robot is an intelligent agent. 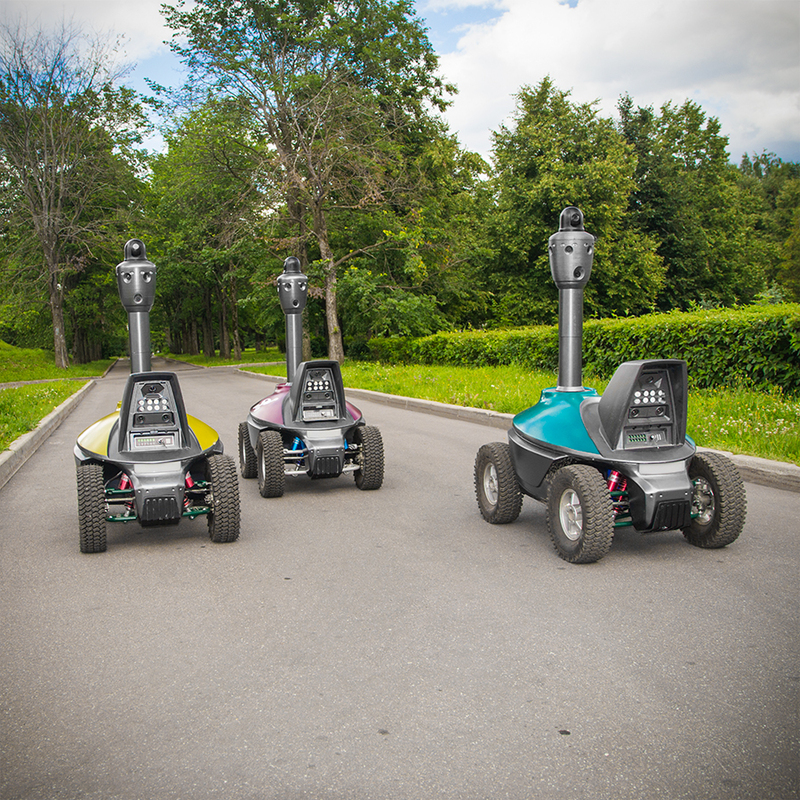 Along with special characteristics specific only to this class of robots, tasks such robots solve the same problem for all mobile robots assigned to the same shared task. Such group-based goals may include identifying location, motion control, choosing an optimal path of travel, forecasting a bypass path, and predicting the presence of other vehicles. All of these tasks represent a permanent search of optimal solutions. 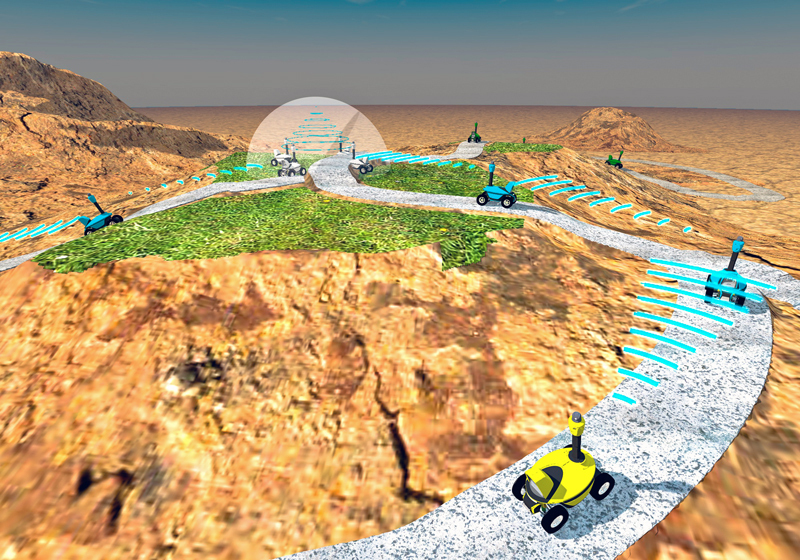 The regular autopilot of the robot programmed for standard maneuvers is designed to seek solutions on the route. 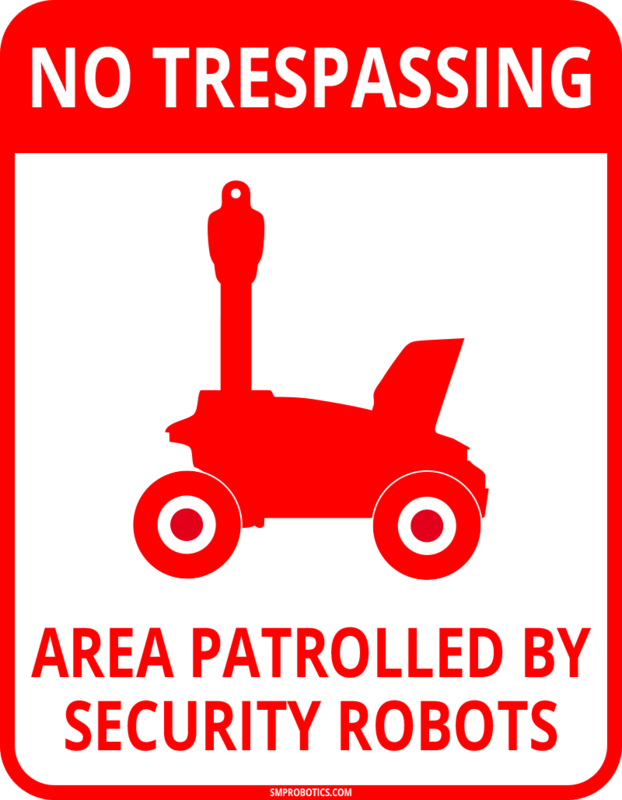 At the same time, under favorable external conditions (for example, an excess of the calculated time allotted for problem solving being left over) might introduce an element of chaos, with the expectation that the robot will be able to lead itself to a new decision in continually heading toward the best available option. Under normal conditions, the robot moves along the route with a minimum deviation; at the same time, the calculation of energy consumption on the path length shows that the efficiency of its movement is far from optimal. With sufficient battery charge, the program will instruct the robot to deviate from the current route in one direction or another, seeking the probability to pass the same area with less energy. In this case, the robot will report an improvement over the route to the intelligent agents in its coalition. In this way, implemented genetic algorithms and reinforcement learning, along with a predetermined programing of the robot, will cause the group of robots to carry out increasingly cost-effective and efficient decisions carrying out in their assigned tasks. It would seem such a little effect as the optimization of a task at the level of an intelligent agent in a multi-robot system could produce a synergistic effect of self-organization, one which allows time to solve the global problem of optimal way. Actually these decisions as described above will show clear signs of artificial intelligence in the group of robots.